Would you like to receive emails from our sponsor, Astronomics? By registering for an account on Cloudy Nights you unconditionally agree to abide by the rules set forth here. Cloudy Nights reserves the right to deny or restrict membership and its privileges to anyone at the sole discretion of the Cloudy Nights Administrators. This is a private forum, not a democracy. Membership is a privilege, not a right. Respect and cooperate with the Administrators and Moderators who have unselfishly volunteered their time to keep this board a useful resource. Cloudy Nights is a family friendly forum. We have members under the age of 14. We expect you to behave accordingly. The Golden Rule applies here. If you cannot abide by the above guidelines for civil conduct, then this is NOT the place for you. The entirety of the Terms of Service (TOS, which follows) flows from those simple guidelines. a. Any astro-photographs or images you post should be your own. Do not post re-edits of someone else’s images unless you have their permission. Passing off someone else’s astro-photos as your own will result in a permanent ban. Screen shots of software, apps, and websites are acceptable within reason (Moderators and Administrators will determine what’s reasonable). Scans of star charts or single pages from printed material, if used for illustrative or instructional purposes, will typically be allowed. Do not post complete scans of manuals, books, articles, or other printed material. We discourage the posting of distracting or annoying content, such as memes, and Moderators may remove such content without notice and at their discretion. Whenever possible, please include a link to the original material, image, or website. Image posting size restrictions are 1600X1200 px (maximum 500kb), avatars must be 80X80 px, and signature images (2 allowed) may be no more than 100X600 px. b. Short (one or two line) quotes of textual material may be posted, as long as the quote is properly attributed to the author and a link to the material is posted if available. Moderators have discretion to determine if posted quotes are too long or improperly attributed. c. Topics about politics, religion, or ‘hot-topic’ issues (global warming, taxes, lifestyles, etc.) that can easily become incendiary are not welcome here. Moderators have the discretion to determine if a topic or post is within these boundaries. d. Posts and topics that are disruptive, disrespectful, offensive, trolling, or profane will be removed immediately and the offender(s) may be subject to suspension of privileges or a permanent ban. e. Moderators will not comment publicly regarding editing or removing topics or posts. When moderation is done, it is done in private out of respect for the member(s). Likewise, members may not comment on moderation actions in the open forums. Such comments will be removed immediately. If you have a concern about moderation, please contact the Moderator or an Administrator using the Private Message system. f. This is not the place to air grievances with vendors. Please do not attempt to use us as leverage. Take it up with the vendor off of this site. g. We believe that using this site to recruit members to other sites is ‘poor netiquette’. Any topics or posts attempting to do so will be removed immediately and the member may suffer suspension of privileges or a permanent ban. h. Do not start a topic within an already established topic (hijacking). If you have a new topic to discuss, start a new topic in the most appropriate forum. If you are unsure where to post just contact a Moderator. i. Cross-posting is not permitted. Pick the most appropriate forum for your topic and post it there, once. Duplicate topics will be removed. j. Members may not post their personal contact information in posts or ads. Members may also not post the personal contact information of other persons. If you need to give your contact information to another member please use the Private Message system. k. Think before you post! Your posts become property of this site. Cloudy Nights reserves the right to remove content which is deemed inappropriate if Moderators consider it necessary. Likewise, requests to remove posts will not be entertained unless Moderators deem it necessary. l. Fund raising or solicitation for donation posts of any kind are not permitted. This includes links to crowdfunding sites. m. 'For Sale / Trade / Wanted' posts are not permitted in the open forums and are subject to immediate removal without notice. The Swap & Shop forums and CN Classifieds are provided for that purpose. Moderators and administrators have the final word as to what constitutes a "For Sale/ Wanted/ Trade" post in the open forums. n. Cloudy Nights does not condone data harvesting of member information nor does it permit any members or 3rd parties to post redirect links to surveys. Limited exceptions may be made under exceptional circumstances and only after administrator permission has been secured. b. Once established, we do not delete member accounts. a. Members may not discuss or post links to sites that discuss the modification or unsafe use of solar observing equipment. No exceptions. b. Members may not discuss or post links to sites that discuss, advertise, or sell laser pointers and modules that are greater than 5mW. The only exception is for equipment that is used for legitimate scientific purposes or research. Moderators and Administrators have the discretion to determine whether or not a post or topic is eligible for that exception. - A moderator request that you edit your post, or a moderator editing it themselves after the edit window has elapsed. - Removal of a post, or removal or closing of a topic. - In rare occasions, suspension of posting privileges from a short period of time up to permanently, depending on the severity of the violation and the number of prior incidents. We will usually attempt to notify you of a TOS violation by means of a Personal Message – for this reason it is strongly suggested you set your account to have Personal Messages forwarded to your email account (and that you maintain a valid email account with us). b. Members who are determined to be engaged in posting spam or scamming other members, or who register for an account here for the purpose of spamming or scamming members, will be banned immediately. a. Cloudy Nights reserves the right to make changes to the Terms of Service without notice. You should periodically check for changes. a. Definition of Vendor: If you produce, sell or market a product that is targeted at astronomy hobbyists, and promote it here on this site (regardless of whether you sell it or give it away for free), you may be classified as a Vendor. b. Vendors are in a unique position to be wonderful sources of information for the hobby and our members. We would like to be able to take advantage of that resource while at the same time protecting our membership from Vendors that do not place the hobby or our membership in the highest regard and only value their profit margin. c. This site is owned by Astronomics, who graciously allows other vendors to participate. Vendors are held to a higher standard of conduct on this site and should consider this before they post. d. Vendors may not advertise in their signatures. However, vendors may include a single link to their business in their signature. e. Vendors are allowed to participate in any discussion on any topic and any product but they are expected to be courteous, objective, and non-promotional. Attempts to skirt these rules may, and most likely will, result in an immediate ban. f. Vendors are allowed to use the Swap & Shop to sell personal equipment that they use (just as if they were a regular member). Vendors may not use the Swap & Shop forums for inventory or as a storefront. Vendors may use CN Classifieds to sell personal equipment or equipment from inventory. g. The Vendor Announcement Forum must be used to announce sales, specials, or any information pertinent to our members about their business or products. h. The Moderators and Administrators will be biased in favor of the members in any judgement calls. Vendors are cautioned that perception of their posts (not necessarily intent) will be considered first. Take care and think before you post. i. These rules are designed to encourage the participation of the many great Vendors our hobby has and to curb the participation of those few Vendors that cannot behave. j. Shills will not be tolerated. k. Violations of these rules (either the letter or spirit) may result in the immediate suspension of privileges or a permanent ban. a. Rules for posting and conduct in the Classified Section and Swap & Shop are posted separately from our TOS. Be aware that if a Moderator or Administrator deems your ad to be in violation of those rules or the TOS it may be deleted without warning. We strongly recommend you keep a copy of your ad that you can edit to bring it into compliance and repost. THIS AGREEMENT "Agreement" is entered into by and between CLOUDY NIGHTS LLC and any individual, corporation, association, agency, company, or other entity who accesses or uses the Cloudy Nights CNC Classifieds and Forums (the "User" or "you"). The Cloudy Nights CNC Classifieds and Forums, which is provided without charge to you, is a World Wide Web site on the Internet that is designed to allow users to post ads and/or to view ads posted by other users or interact with those users. 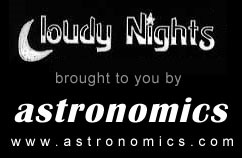 The Cloudy Nights CNC Classifieds and Forums is owned and operated by CLOUDY NIGHTS LLC. The Cloudy Nights CNC Classifieds and Forums contains or may contain information, communications, opinions, text, graphics, links, electronic art, animations, audio, video, software, photos, music, sounds and other material and data (collectively, "Content") formatted, organized and collected in a variety of forms that are generally accessible to Users. 2.1 Cloudy Nights CNC Classifieds and Forums content. (1) You acknowledge that Content on the Cloudy Nights CNC Classifieds and Forums is generally provided by the Cloudy Nights CNC Classifieds and Forums , individual contributors of Content ("Contributors"), third party licensees, and/or other Users. You acknowledge that the Cloudy Nights CNC Classifieds and Forums permits access to Content that is protected by copyrights, trademarks, and other proprietary (including intellectual property) rights ("Intellectual Property Rights"), and that these Intellectual Property Rights are valid and protected in all media existing now or later developed and except as is explicitly provided below, your use of Content shall be governed by applicable copyright and other intellectual property laws. You acknowledge that the Cloudy Nights CNC Classifieds and Forums owns a copyright in the "look and feel," i.e., the selection, coordination, arrangement and presentation of such Content. (2) You may not modify, copy, reproduce, transmit, distribute, publish, create derivative works from, display or otherwise transfer or commercially exploit any of the Content, in whole or in part, provided, however, that you may (i) make a reasonable number of digital or other form of copies to permit your computer hardware and software to access and view the Content, (ii) print one copy of each piece of Content, (iii) make and distribute a reasonable number of copies of Content, in whole or in part, in hard copy or electronic form for internal use only. Any permitted copies of Content must reproduce in an unmodified form any notices contained in the Content, such as all Intellectual Property Right notices, and an original source attribution to "The Cloudy Nights CNC Classifieds and Forums " and its URL address. You acknowledge that the Cloudy Nights CNC Classifieds and Forums , its Contributors, and/or Users remain the owners of the Content and that you do not acquire any Intellectual Property Rights by downloading or printing Content. You may upload to any Interactive Area or otherwise transmit, post, publish, reproduce or distribute, on or through the Cloudy Nights CNC Classifieds and Forums only Content that is not subject to any Intellectual Property Rights, or Content in which any holder of Intellectual Property Rights has given express authorization for distribution over the Internet and on the Cloudy Nights CNC Classifieds and Forums , without restriction whatsoever. Any Content submitted with the consent of a copyright owner other than you should contain a phrase such as "Copyright owned by [name of owner]; Used by Permission." By submitting Content to any Interactive Area, you automatically grant and/or warrant that the owner of such Content, whether it be You or a third party, has expressly granted to the Cloudy Nights CNC Classifieds and Forums the royalty-free, perpetual, irrevocable, non-exclusive, unrestricted, worldwide right and license to use, reproduce, modify, adapt, publish, translate, create derivative works from, sublicense, distribute, perform, and display such Content, in whole or in part, worldwide and/or to incorporate it in other works in any form, media, or technology now known or later developed for the full term of any Intellectual Property Rights that may exist in such Content. You also permit the Cloudy Nights CNC Classifieds and Forums to sublicense to third parties the unrestricted right to exercise any of the foregoing rights granted with respect to such Content. You also permit any User to access, view, store and reproduce the Content for personal use. You acknowledge that the Cloudy Nights CNC Classifieds and Forums may include various interactive areas ("Interactive Areas"), including but not limited to ads. These Interactive Areas allow feedback to the Cloudy Nights CNC Classifieds and Forums and real-time interaction between users. You further understand that the Cloudy Nights CNC Classifieds and Forums does not control the messages, information, or files delivered to such Interactive Areas and that the Cloudy Nights CNC Classifieds and Forums may offer you and other Users the capability of creating and managing an Interactive Area. However, neither the Cloudy Nights CNC Classifieds and Forums , its subsidiary and parent companies, or affiliates, nor their respective directors, officers, employees and agents are responsible for Content within any Interactive Area. Your use and/or management of an Interactive Area will be governed by this Agreement and any additional rules or operating procedures of any Interactive Area established by you or another User, as applicable. You recognize that the Cloudy Nights CNC Classifieds and Forums cannot, and does not intend to, screen communications in advance. Moreover, because the Cloudy Nights CNC Classifieds and Forums encourages open and candid communication in the Interactive Areas, the Cloudy Nights CNC Classifieds and Forums cannot determine in advance the accuracy or conformance to this Agreement of any Content transmitted in an Interactive Area. The Cloudy Nights CNC Classifieds and Forums is not responsible for screening, policing, editing, reviewing or monitoring any Content in an Interactive Area. Notwithstanding the above, you agree that the Cloudy Nights CNC Classifieds and Forums has the right to monitor any Interactive Area, from time to time and to disclose any information as necessary to satisfy any law, regulation or other governmental request, to operate the Interactive Area, or to protect itself or other Users. If notified of Content that is alleged not to conform to this Agreement, the Cloudy Nights CNC Classifieds and Forums may investigate the allegation and determine in its sole discretion whether to remove or request the User to remove such Content. The Cloudy Nights CNC Classifieds and Forums reserves the right to prohibit conduct, communication or Content within an Interactive Area, or to edit, refuse to post, or to remove any Content, in whole or in part, which it deems in its sole discretion to (i) violate the then-standard provisions of this Agreement or any other standard, written Cloudy Nights CNC Classifieds and Forums policy in effect at that time, (ii) be harmful to the rights of any User, the Cloudy Nights CNC Classifieds and Forums , or other third parties, (iii) violate applicable law, or (iv) be otherwise objectionable. The only right with respect to dissatisfaction with any policies, guidelines, or practices of the Cloudy Nights CNC Classifieds and Forums in operating the Cloudy Nights CNC Classifieds and Forums , or any change in Content, is for you to discontinue accessing the Cloudy Nights CNC Classifieds and Forums . The Cloudy Nights CNC Classifieds and Forums may terminate or temporarily suspend your access to all or any part of the Cloudy Nights CNC Classifieds and Forums , without notice, for conduct that the Cloudy Nights CNC Classifieds and Forums believes is a violation of this Agreement or any policies or guidelines posted by the Cloudy Nights CNC Classifieds and Forums , or for other conduct which the Cloudy Nights CNC Classifieds and Forums believes, in its sole discretion, is harmful to the Cloudy Nights CNC Classifieds and Forums or other Users. The Cloudy Nights CNC Classifieds and Forums may discontinue operating the Cloudy Nights CNC Classifieds and Forums and terminate this Agreement without notice at any time for any reason in its sole discretion. In the event of termination, you are no longer authorized to access the Cloudy Nights CNC Classifieds and Forums , including the Interactive Areas, and the restrictions imposed on you with respect to Content downloaded from the Cloudy Nights CNC Classifieds and Forums , as well as the disclaimers and limitations of liabilities set forth in this agreement, shall survive. 5.1 Links. You understand that except for Content, products or services expressly available at the Cloudy Nights CNC Classifieds and Forums , neither the Cloudy Nights CNC Classifieds and Forums , its subsidiary and parent companies, or affiliates, or their respective directors, officers, employees, and agents controls, provides, or is responsible for any Content, goods or services available through sites on the Internet linked to or from the Cloudy Nights CNC Classifieds and Forums . All such Content, goods and services are made accessible on the Internet by independent third parties and are not part of the Cloudy Nights CNC Classifieds and Forums or controlled by the Cloudy Nights CNC Classifieds and Forums . The Cloudy Nights CNC Classifieds and Forums neither endorses nor is responsible for the accuracy, completeness, usefulness, quality or availability of any Content, goods or services available on any site linked to or from the Cloudy Nights CNC Classifieds and Forums , which are the sole responsibility of such independent third parties, and your use thereof is solely at your own risk. Neither the Cloudy Nights CNC Classifieds and Forums , its subsidiary and parent companies, or affiliates, or their respective directors, officers, employees, and agents shall be held responsible or liable, directly or indirectly, for any loss or damage caused or alleged to have been caused by your use of or reliance on any Content, goods or services available on any site linked to or from the Cloudy Nights CNC Classifieds and Forums or your inability to access the Internet or any site linked to or from the Cloudy Nights CNC Classifieds and Forums . 5.2 Disclaimer of Warranties. Please use your best judgment in evaluating all information contained or opinions expressed on the Cloudy Nights CNC Classifieds and Forums . It is the policy of the Cloudy Nights CNC Classifieds and Forums not to endorse or oppose any opinion expressed by a User or Content provided by a User, Contributor, or other independent party. YOU EXPRESSLY AGREE THAT YOUR USE OF THE Cloudy Nights CNC Classifieds and Forums IS AT YOUR SOLE RISK. NEITHER THE Cloudy Nights CNC Classifieds and Forums NOR ANY OF ITS SUBSIDIARY AND PARENT COMPANIES, OR AFFILIATES, OR THEIR RESPECTIVE DIRECTORS, OFFICERS, EMPLOYEES, AGENTS, CONTRACTORS, AFFILIATES, LICENSORS OR OTHER SUPPLIERS PROVIDING CONTENT, DATA, INFORMATION OR SERVICES WARRANTS THAT THE Cloudy Nights CNC Classifieds and Forums OR ANY INTERNET SITE LINKED TO OR FROM THE Cloudy Nights CNC Classifieds and Forums WILL BE UNINTERRUPTED OR ERROR FREE, THAT DEFECTS WILL BE CORRECTED, OR THAT THIS SITE, INCLUDING THE INTERACTIVE AREAS, OR THE SERVER THAT MAKES IT AVAILABLE ARE FREE OF VIRUSES OR OTHER HARMFUL COMPONENTS. NOR DO ANY OF THEM MAKE ANY WARRANTY AS TO THE RESULTS THAT MAY BE OBTAINED FROM THE USE OF THE Cloudy Nights CNC Classifieds and Forums OR ANY INTERNET SITE LINKED TO OR FROM THE Cloudy Nights CNC Classifieds and Forums OR AS TO THE TIMELINESS, SEQUENCE, ACCURACY, AUTHORITY, COMPLETENESS, USEFULNESS, NONINFRINGEMENT, RELIABILITY, AVAILABILITY, OR SUBSTANCE OF ANY CONTENT, INFORMATION, SERVICE, OR TRANSACTION PROVIDED THROUGH THE Cloudy Nights CNC Classifieds and Forums OR ANY SITE LINKED TO OR FROM THE Cloudy Nights CNC Classifieds and Forums . THE Cloudy Nights CNC Classifieds and Forums IS PROVIDED ON AN "AS IS," "AS AVAILABLE" BASIS, WITHOUT WARRANTIES OF ANY KIND, EITHER EXPRESS OR IMPLIED, INCLUDING, WITHOUT LIMITATION, THOSE OF MERCHANTABILITY AND FITNESS FOR A PARTICULAR PURPOSE. 5.3 Limitation of Liability. UNDER NO CIRCUMSTANCES SHALL THE Cloudy Nights CNC Classifieds and Forums , ITS SUBSIDIARY AND PARENT COMPANIES, OR AFFILIATES, ORTHEIR RESPECTIVE DIRECTORS, OFFICERS, EMPLOYEES, AGENTS, CONTRACTORS, OR LICENSORS, BE LIABLE FOR ANY INCIDENTAL, SPECIAL OR CONSEQUENTIAL DAMAGES UNDER OR ARISING FROM THIS AGREEMENT, THE Cloudy Nights CNC Classifieds and Forums , OR ANY INTERNET SITE LINKED TO OR FROM THE Cloudy Nights CNC Classifieds and Forums , WHETHER FOR BREACH OF CONTRACT, TORTIOUS BEHAVIOR, NEGLIGENCE, OR UNDER ANY OTHER CAUSE OF ACTION, INCLUDING WITHOUT LIMITATION, ANY LIABILITY FOR DAMAGES CAUSED OR ALLEGEDLY CAUSED BY ANY FAILURE OF PERFORMANCE, ERROR, OMISSION, INTERRUPTION, ELECTRICAL SURGE/DAMAGE/INTERFERENCE, DELETION, DEFECT, DELAY IN OPERATION OR TRANSMISSION, COMPUTER VIRUS, COMMUNICATIONS LINE FAILURE, BREAKDOWN OF EQUIPMENT, SOFTWARE ERROR, INFRINGEMENT, UNAUTHORIZED ACCESS TO, OR THEFT, DESTRUCTION, ALTERATION, OR USE OF, RECORDS. UNDER NO CIRCUMSTANCES SHALL THE Cloudy Nights CNC Classifieds and Forums , ITS SUBSIDIARY AND PARENT COMPANIES, OR AFFILIATES, OR THEIR RESPECTIVE DIRECTORS, OFFICERS, EMPLOYEES, AGENTS, CONTRACTORS, OR LICENSORS, BE LIABLE TO YOU OR ANY OTHER THIRD PARTY FOR ANY DECISION MADE OR ACTION TAKEN BY YOU IN RELIANCE ON THE CONTENT CONTAINED WITHIN THE Cloudy Nights CNC Classifieds and Forums OR THE CONTENT CONTAINED WITHIN ANY INTERNET SITE LINKED TO OR FROM THE Cloudy Nights CNC Classifieds and Forums . THE CONTENT WITHIN THE Cloudy Nights CNC Classifieds and Forums AND THE CONTENT WITHIN INTERNET SITES LINKED TO OR FROM THE Cloudy Nights CNC Classifieds and Forums MAY INCLUDE TECHNICAL OR OTHER INACCURACIES OR TYPOGRAPHICAL ERRORS. CHANGES ARE PERIODICALLY ADDED TO THE CONTENT HEREIN; THESE CHANGES WILL BE INCORPORATED IN NEW VERSIONS OF THE Cloudy Nights CNC Classifieds and Forums AND SPECIFICALLY ARE INCLUDED IN THIS SECTION AGREEMENT. THE Cloudy Nights CNC Classifieds and Forums AND ITS CONTRIBUTORS MAY MAKE IMPROVEMENTS AND/OR CHANGES IN THE CONTENT AT ANY TIME AND FROM TIME TO TIME. YOU SPECIFICALLY ACKNOWLEDGE AND AGREE THAT THE Cloudy Nights CNC Classifieds and Forums IS NOT LIABLE FOR ANY DEFAMATORY, OFFENSIVE, FRAUDULENT, OR OTHERWISE ILLEGAL CONDUCT OF ANY USER. IF YOU ARE DISSATISFIED WITH ANY Cloudy Nights CNC Classifieds and Forums SITE CONTENT, OR WITH THE ACCESS AGREEMENT OF THE Cloudy Nights CNC Classifieds and Forums , IN WHOLE OR IN PART, YOUR SOLE AND EXCLUSIVE REMEDY IS TO DISCONTINUE USING THE Cloudy Nights CNC Classifieds and Forums . You agree to indemnify and hold the Cloudy Nights CNC Classifieds and Forums , its parent or subsidiary companies and their affiliates, and their respective directors, officers, employees, and agents from any and all liabilities, claims and expenses, including reasonable attorneys fees, arising from breach of this Agreement, any other policy, your use or access of the Cloudy Nights CNC Classifieds and Forums or any Internet site linked to or from the Cloudy Nights CNC Classifieds and Forums , or in connection with the transmission of any Content on the Cloudy Nights CNC Classifieds and Forums . This Agreement comprises the entire agreement between the Cloudy Nights CNC Classifieds and Forums and you, and supersedes any prior agreements with respect to the subject matter herein. The Cloudy Nights CNC Classifieds and Forums may revise this Agreement or any other policy at any time and from time to time, and such revision shall be effective two (2) days upon posting notice of such revision prominently on the Cloudy Nights CNC Classifieds and Forums . You agree to review this Agreement periodically to be aware of such revisions. If any such revision is unacceptable to you, you must discontinue accessing the Cloudy Nights CNC Classifieds and Forums . Your continued accessing and use of the Cloudy Nights CNC Classifieds and Forums following notice of any such revision shall conclusively be deemed acceptance of all such revisions. The provisions of Sections 1.2, 2.1, 2.2, 5.1, 5.2, 5.3, 6 and 7 shall survive the termination or expiration of this Agreement. If any provision of this Agreement or any other policy be held invalid or unenforceable, that portion shall be construed in accordance with applicable law as nearly as possible to reflect the original intention of the parties and the remaining portions will continue in full force and effect. The failure of the Cloudy Nights CNC Classifieds and Forums to insist upon or enforce strict performance of any provision of this Agreement shall not be construed as a waiver of any provision or right. This Agreement shall be governed by the laws of the state or province of domicile of the Cloudy Nights CNC Classifieds and Forums , excluding its conflict of laws rules, and you and the Cloudy Nights CNC Classifieds and Forums each submit to the exclusive jurisdiction of the courts of that state or province. This Agreement is personal to you and you may not assign your rights or obligations there under to anyone. All logos, brand names, products, trademarks and service marks appearing herein may be the trademarks or service marks of their respective owners. References to any trademark, service mark and links to or from the Cloudy Nights CNC Classifieds and Forums have been done strictly for clarification and identification and does not constitute endorsement by the Cloudy Nights CNC Classifieds and Forums of the products, services or information offered by the owner of such trademark, service mark or link or endorsement of the Cloudy Nights CNC Classifieds and Forums by such trademark, service mark or link owner. If you are not happy with the service rendered, ultimately your sole recourse is to stop your use of said service.